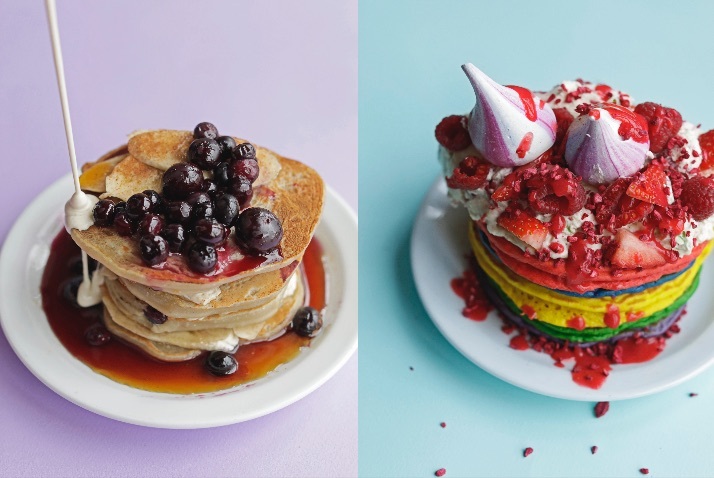 Which is why…for this year’s Pancake Day celebrations we’ve pulled together an almighty line-up of our foodie friends to create a limited edition collaboration menu of PANCAKE DREAMS avaliable across all of our cafes 12th-18th Feb. If you like a side order of competition with your pancakes, then pull on your finest elasticated trousers – our annual Pancake Dy Challenge will be back again to raise money for charity. The rules are simple: Eat a stack of 12 pancakes in 12 minutes or less. If you win, it’s on The Breakfast Club. If you lose, you’ll pay full price and we’ll donate all profits to our volunteering program Good Day Productions. Last year we raised over £3,000! The Challenge is available on Pancake Day 13th Feb ONLY. No need to book, just rock up to any BC cafes throughout the day to take part.